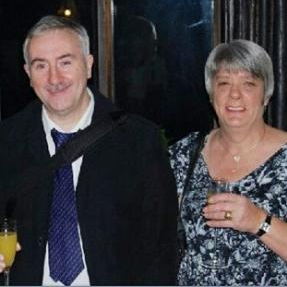 Lord Milo’s Inquest and the Mental Health Charity ‘Sane’. Anyway you get the gist, the pharmaceutical industry is one of the most powerful industries in the world. You only have to look at Pfizer’s conduct in Nigeria, where they tried to avoid legal action for causing the deaths of 11 children in an illegal drug trial, by hiring investigators to uncover corruption links to Nigeria’s Attorney General, here. Bear that in mind for a minute. I have blogged before about Lord Milo Douglas, a lovely fella by all accounts who struggled with ‘bipolar affective disorder’ (not what it said on the tin!) for 10 years. A week before his suicide, Lord Milo presented himself at his GP’s surgery announcing that he had been experiencing suicidal thoughts; He was given Citalopram. A week later he was dead. 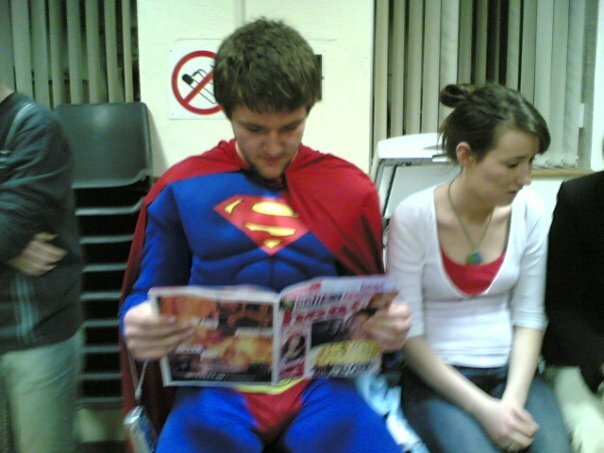 Here’s my old blog if you want to read it. What is a ‘mental health charity’ doing getting involved in a person’s death and the inquest process, which is after all, a court of law? Really? What about Lord Milo’s change of medication? What about the doubling of suicide risk upon starting, discontinuing or changing dose (up or down) with SSRI’s? Come on, if you’re going to make statements within your ‘professional capacity’ of a mental health charity, you must surely have all the facts? Did Lundbeck not inform you of the side-effects of Citalopram? Is the fact that you are listed on Lundbeck’s charity page, here, as one of their ‘charity partnerships’ anything to do with your statement? Maybe I’m being a bit harsh and maybe Sane is a really good charity. That’s the thing with conflicts of interests, you can’t have it both ways. A mental health charity cannot profess to “raise awareness and respect for people with mental illness” and “To provide information and emotional support to those experiencing mental health problems” and at the same time accept funding from a pharmaceutical company that make antidepressants, which (by their own admission) can cause a person to commit suicide. As you can see, I did send my message to Sane on 12th May via Twitter but they didn’t reply. Charlie Suen: Another Citalopram victim. This is just so sad; another Newspaper report today and another young man has hanged himself because of Citalopram. 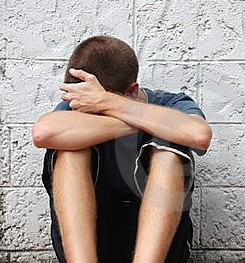 Another young man’s parents raising concerns about the depressant/antidepressant Citalopram. Charlie Suen, 18, a popular teenager, killed himself after failing to make the grades for university and splitting from his girlfriend, an inquest heard. 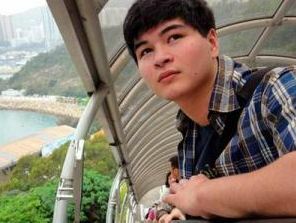 Former Tiffin School student Charles Suen wanted to retake some of his A-levels after he struggled with school and missed out on his first choice of Edinburgh University the previous year. 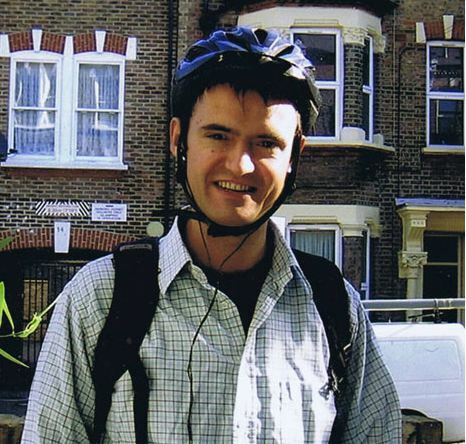 During the inquest, concerns were raised about the delay in Charlie’s referral for psychological therapy and over the prescription of anti-depressant citalopram. 11 days after starting citalopram, Charlie hung himself from his bunk bed at his home. His GP Michael Desouza felt it was appropriate to prescribe Citalopram for Charlie. 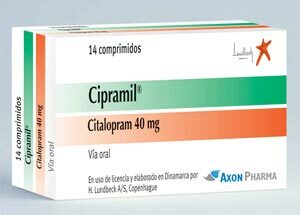 Citalopram is used to treat a variety of mental health problems and can improve symptoms such as depression and anxiety. Although, just not efficacious in Charlies Case and many, many other unfortunate cases? Mr and Mrs Suen raised concerns over its prescription to their son and the lack of communication and involvement they had in his treatment. A cure worse than the illness? Robert Whitaker is the same journalist who wrote about Psychiatric drugs associated with violence last month (jan 2011).He is doing two lectures in Dublin this week and next. Time to shake up psychiatry in Ireland.. WHEN ROBERT Whitaker, an award-winning medical reporter, came upon a study by the World Health Organisation on outcomes for patients with schizophrenia a few years ago, he was puzzled. It said the best outcomes were for people from some of the poorest countries in the world – India, Colombia, Nigeria – rather than the richest countries. It didn’t make sense. How could the outcomes be so poor for well-off nations with access to specialist drugs? “I was startled to find that just a small percentage of patients in those poor countries were on medication for their condition,” says Whitaker. It prompted a flurry of queries, but they all boiled down to a single, central question: why has the number of people plagued with mental illness problems been skyrocketing at a time when we have access to medicine that is supposed to be more effective than ever before? The result of Whitaker’s investigation is Anatomy of an Epidemic, the first major book to investigate the long-term outcomes of patients treated with psychiatric drugs. Through thorough research and personal testimonies, he draws a chilling overall conclusion: that the drugs we so widely use may be doing more harm than good. The book, published last year, is causing a stir in the US and prompting fiery responses from some members of the psychiatric profession. But it is also causing significant numbers of professionals to rethink their approach to prescribing drugs. “It’s been a slowly, gathering impact. In the US, this is a very sensitive subject and immediately brings up all sorts of tensions,” he says. Ironically, for an issue which is fast becoming a burning question in psychiatry, the question of how effective psychiatric drugs are over the longer term isn’t a new one. Whitaker points to a paper by Jonathan Cole – regarded as the father of American psycho-pharmacology – in the 1970s entitled Is the Cure Worse Than the Disease? 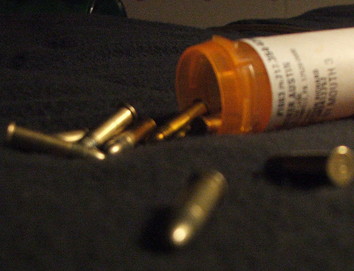 This indicated that anti-psychotic medication wasn’t the magic bullet that many hoped it was. Cole reviewed all of the long-term effects the drugs could cause and observed that studies had shown that at least 50 per cent of all schizophrenia patients could fare well without the medication. “Every schizophrenic outpatient maintained on anti-psychotic medication should have the benefit of an adequate trial without drugs,” Cole wrote at the time. Whitaker maintains that psychiatry, in effect, shut off further public discussion of this sort. In the 1970s, he says, psychiatry was fighting for survival. The two main classes of drugs – anti-psychotics and benzodiazepines such as Valium – were increasingly regarded as harmful and sales declined. At the same time, there was a dramatic increase in the number of counsellors and psychologists offering talk therapy and other non-drug based approaches. But many studies show that psychiatric drugs – such as anti-depressants – are highly effective. There are tens of thousands of people who will attest to benefits of these drugs. Many say they simply couldn’t survive without them. Whitaker counters he is not advocating the total avoidance of drugs. The short-term effects of many drugs are clearly beneficial. But, he says, when you look at the long-term impact of them, the literature consistently shows incredibly poor outcomes, with many becoming chronically ill as a result. Most of these studies, he says, have received little or no coverage or have been “spun” to veil the real findings. It’s not in the interests of psychiatry or the pharmaceutical industry to highlight them. He says the literature shows that many people can recover without recourse to drugs. As a result, more caution is needed and drugs should be administered more sparingly. “You have to raise the question of what happens to medicated patients in the long term, compared with what happened in previous times,” he says. There are obvious lines of attack against Whitaker’s findings: one is that the rise in the number of disabled mentally ill people is not due to medication, but may be due to other factors such as better diagnosis. What makes Whitaker’s findings so powerful are that he did not come to this area with the baggage of an anti-drugs zealot or as part of an anti-psychiatry crusade. The opposite was the case. As a reporter, he remembers investigating a trial involving the withdrawal of drugs from psychiatric patients – in which researchers carefully tallied the number of patients who became sick again and had to be re-hospitalised – and considering the practice to be outrageous and unethical. There is a way forward, according to Whitaker, and it lies in parts of the world which have the best outcomes. Western Lapland in Finland has adopted a form of care for its psychotic patients that has produced astonishingly good long-term outcomes, he says. In follow-up checks after both two and five years, 80 per cent of first- episode psychotic patients in the region were either employed or back at school. Yet only about one-third of the patients were ever exposed to anti-psychotic medication, and only 20 per cent end up taking the drugs on a continual basis. The questions for psychiatry, then, are urgent. Is our medical model of care really working? Does it help people struggling with psychiatric illness to get well and stay well? Is there a reason to believe the medicating of children will help them grow into healthier adults? As for now, we have lots of questions, but precious few definitive answers. Robert Whitaker is due to speak at the Edmund Burke Theatre, Arts Building, TCD at 2pm on Saturday and also at the D4 Ballsbridge Inn, Dublin, on March 2nd at 7.30pm (see seminars.ie). He is also due to speak in Athlone and Cork.